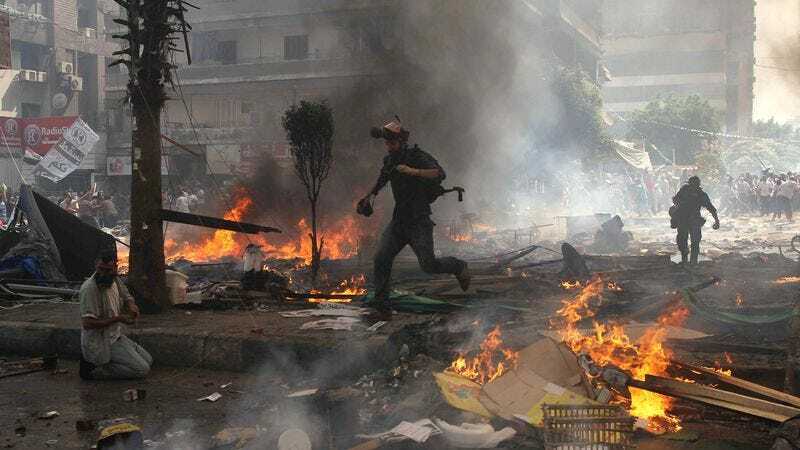 CAIRO—Following deadly clashes on Wednesday between government forces and supporters of recently deposed President Mohamed Morsi, sources confirmed that Egypt has descended into a state of total Middle East. “Widespread and rampant Middle East swept across the nation over the last 24 hours, leaving hundreds dead and thousands more injured,” said U.S. Ambassador to Egypt Anne W. Patterson, noting that the all-out Middle East currently happening in the country could potentially destabilize the entire region. “It’s nothing but pure Middle East on the streets right now. And there is a strong possibility that if the international community becomes involved, the Middle East could become even worse.” Patterson added that while the Middle East in Egypt is showing no signs of letting up, the situation has thankfully not yet boiled over into a full-blown Africa.